The Academy's Main Room has a capacity of 833 including the mezzanine balcony. The intimacy of the room means that every punter gets to experience the show close up. This is where the biggest acts play, and where our weekly club nights take place. 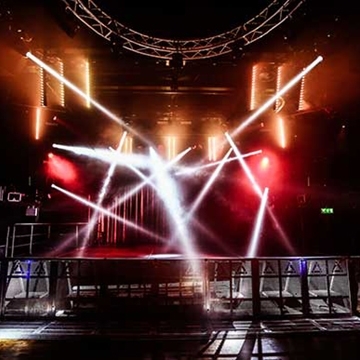 Academy 2 in the basement is our baby venue, with a capacity of 230. Here you will find new up & coming acts, both local and international, as well as smaller club nights. The Green Room is our recently renovated ground floor venue. With a capacity of 450 and a new stage installed, it’s the perfect location for club nights, DJ’s, private parties & special events.